People who know what Tetris is will definitely love this game. 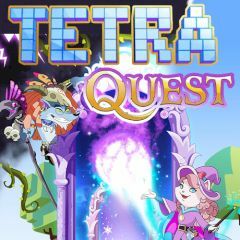 The goal of the game is very much similar to Tetris, but in Tetra Quest you also focus on certain lines and tiles, that keep stones inside. Break them and complete the level. Yet, it's not that easy as it sounds. Some figures do not match holes in the pattern. Keep those blocks, play with others and rotate them for better performance!